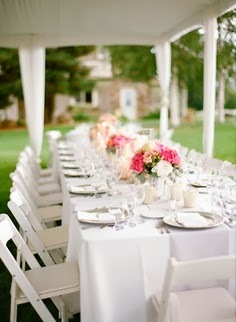 If your wedding will take place during the daytime, you will want to offer some shade for your guests. A formal tent might feel a bit stuffy for a backyard reception, so think about patio tables with big festive umbrellas for the seating. Make them extra special by wrapping garlands of fresh daisies around the umbrella posts. Another idea is to set up a garden "lounge" area under a large awning or in a gazebo. Wicker or teak furniture with comfy cushions will make for an inviting place to relax. The seating for a backyard wedding need not be fancy, but it should make your guests feel at ease. Long family style picnic tables with wooden benches can be surprisingly comfortable, and will feel steadier on grass than folding chairs. 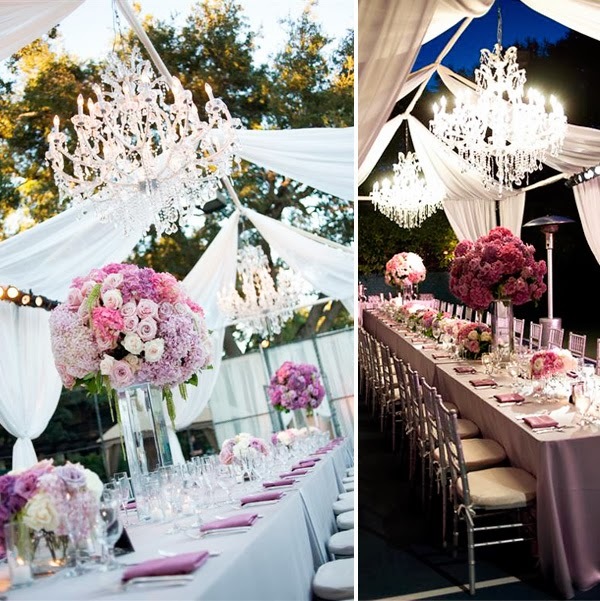 Drape the tables with weighted tablecloths or use colorful runners down the center to add style. If using the round tables with umbrellas, choose tablecloths that complement the colors in the umbrellas for a coordinated effect. Try mixing patterns, such as a floral and a stripe to keep the feeling light and carefree. 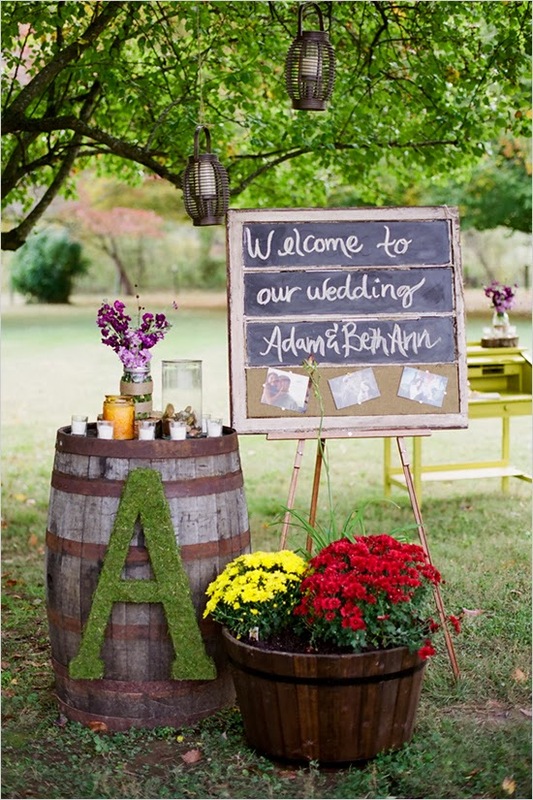 There are many great ways to decorate a backyard for a wedding. 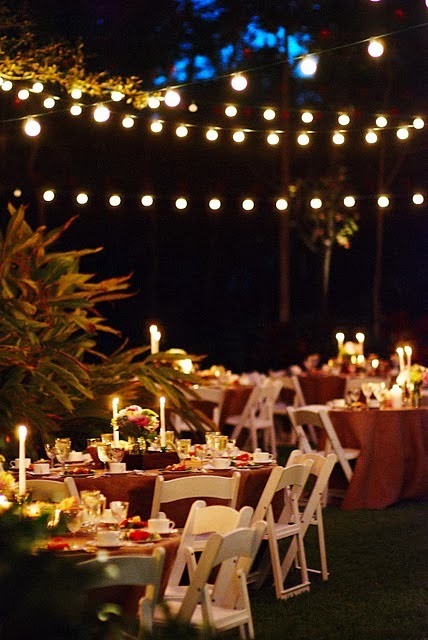 Paper lanterns are one of the easiest way to transform a yard into a party. They can look great for any style of wedding, whether you are having a super casual party or more of a romantic garden party. 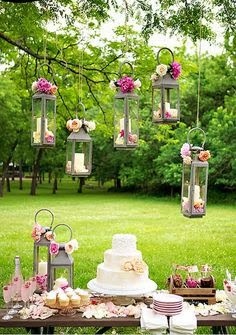 The classic round lanterns are pretty and affordable; if you want to splurge, think about getting more elaborate glass lanterns with unique forms. Using lanterns as a repeating design element throughout the backyard will help to unify the space. 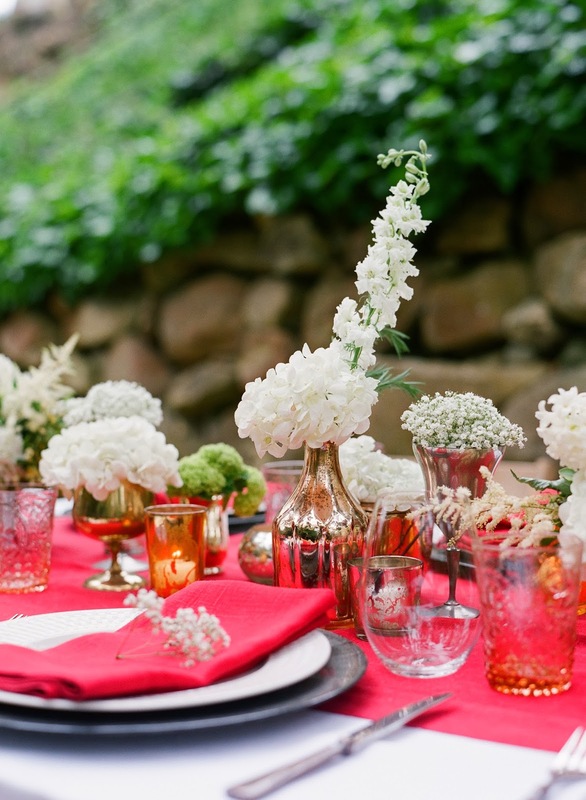 Flowers are a natural for decorating an outdoor party. 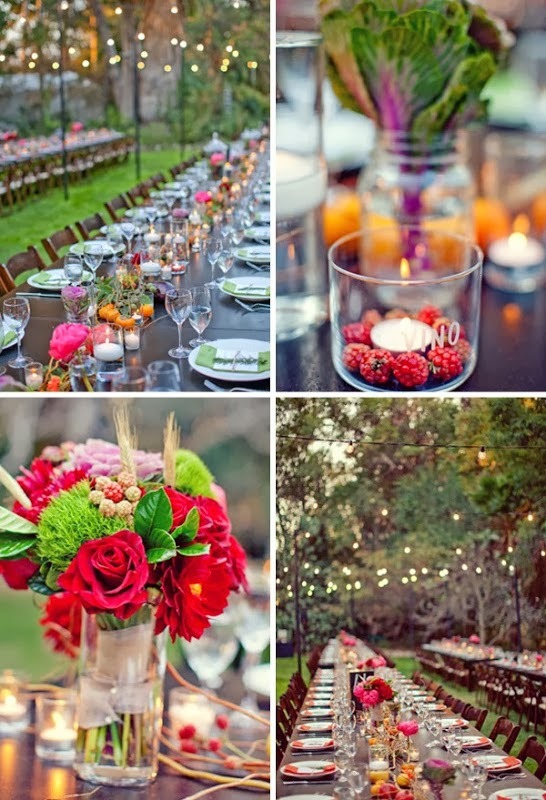 Definitely choose centerpieces which are unstructured and loosely arranged, which will be in harmony with nature. 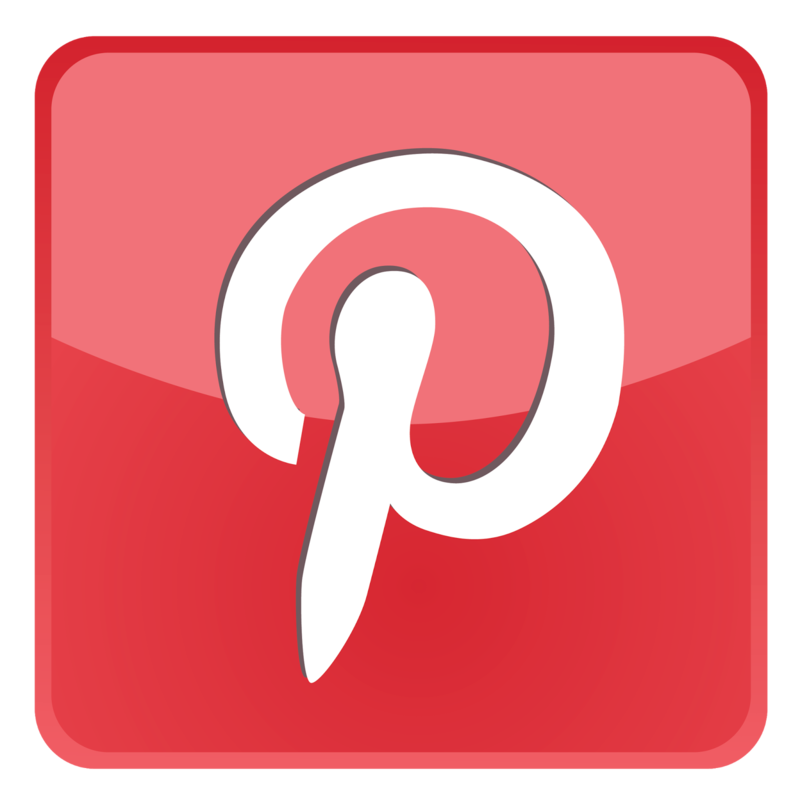 Fill white pitchers with blue hydrangeas, arrange assorted wildflowers in tin pails, or create classic centerpieces of pink peonies in simple clear glass vases. 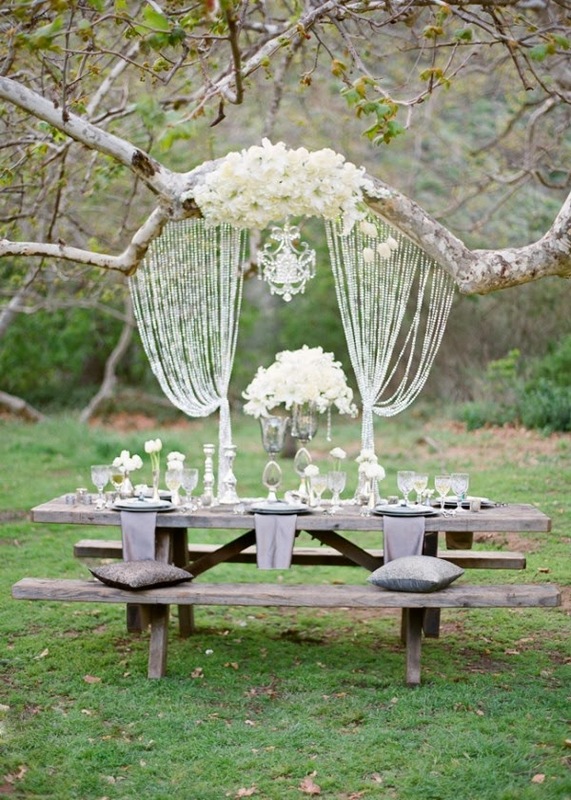 Hang garlands of flowers from tree to tree or suspend a floral wreath from the side of an old oak tree. 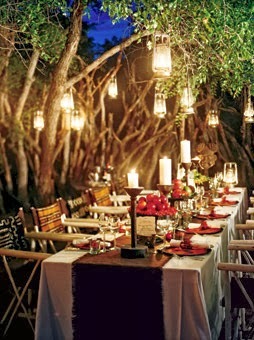 If you want to enhance the tables with candles, opt for votives over taper candles. They will tend to look better in a casual setting and will also fare better if the day is breezy. 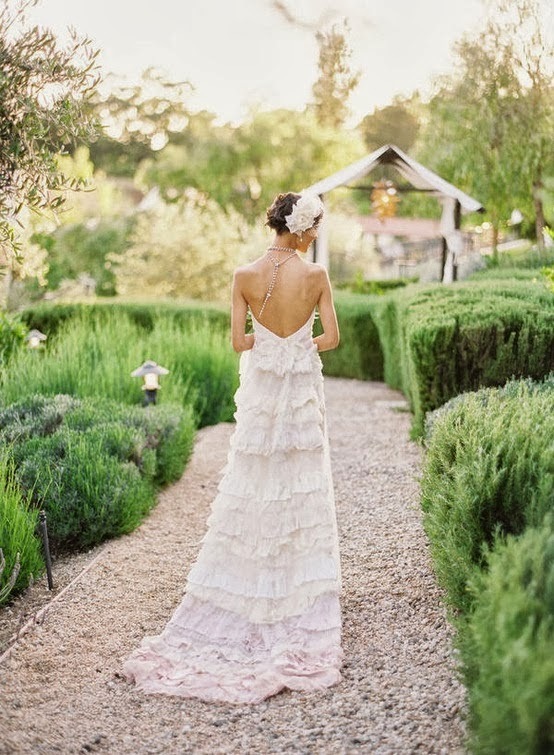 The best attire for a backyard wedding is pretty but unstuffy. For the bride, soft flowing fabrics like chiffon or sheer cotton are lovely. White linen is also an option if you can stand the wrinkles. 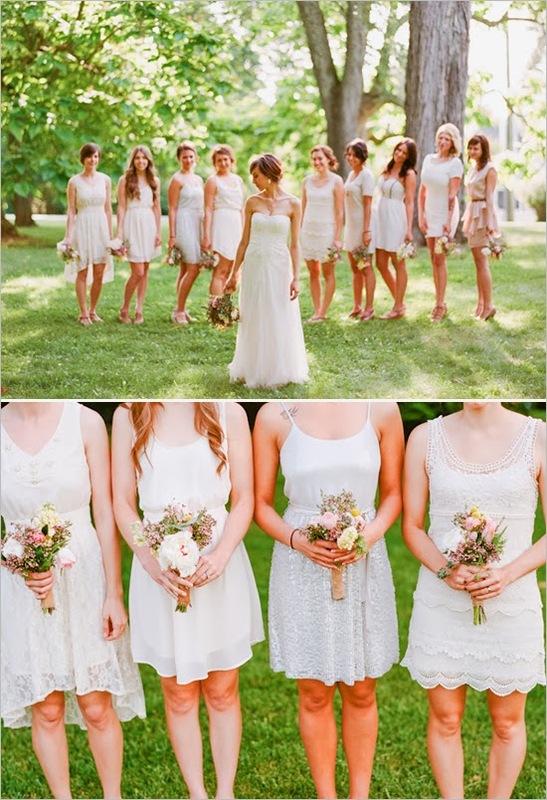 Choose bridesmaid dresses which are easy and sweet, such as yellow and white striped seersucker sundresses. Simple jewelry is best for a backyard. You can give your bridesmaids pearl tin cup necklaces for their bridesmaid gifts so they will have the perfect wedding jewelry. Engraved silver bracelets would also make great bridesmaid gifts for a backyard wedding, as they would look good with a pretty summery dress.